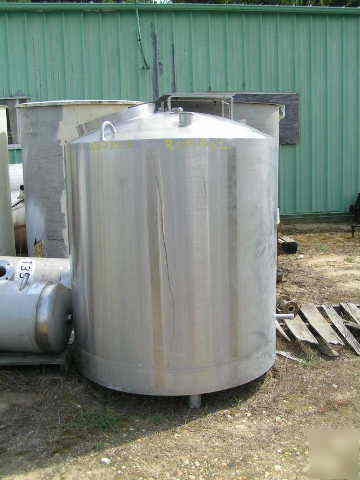 -> Manufacturer: WALKER STAINLESS EQU Model: PZ S/N: 620 H/V: V Material: 304SS Gallons: 300 Bottom: CONVEX Top: DISH Diameter: 4'3" Height: 4'6" Description: Sanitary jacketed kettle. Jacket rated for 250 deg. F with sanitary fittings. Has 18" manway on top. 2.5" side btm outlet. Notes: Price/Availability Subject to Change Without Notice We load most items FOB Pedricktown, Nj. Email or Call Frank at Cell anytime with questions. Thank You!